I picked up the first of the Warriors series on the recommendation of a sixth grade girl. I can understand the appeal: an organized clan of cats struggling to survive in the wild. Even boys, I think, would take to the battles, the intrigue, the desperate attempts of ThunderClan to overcome dangers that threaten from within their own tribe and from their bitter rivals, ShadowClan. It’s a world ripe with animals and imagination. 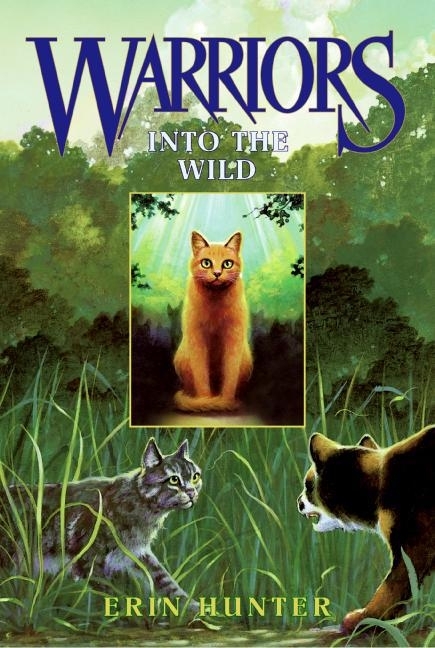 Into the Wild is the story of Rusty, a young kittypet who forsakes his nest with the twolegs to join the wild clan. Though the cats doubt his courage at first, he quickly proves his mettle and is rechristened Firepaw. Indeed, the Starclan warriors, those who have fallen in battle and now sparkle in the heavens, seem to indicate a great destiny for Firepaw in their last oracle, “Only fire can save ThunderClan.” But when Firepaw learns a terrible secret, that one of the clan’s most esteemed warriors assassinated their second-in-command, Firepaw makes a deadly enemy. The book ends with Firepaw’s own warrior induction ceremony and leaves the ugly secrets still eating away at ThunderClan’s strength. Warriors is definitely a plot-driven series, a page-turner. It is the sort of book my daughter loves to pick up. While I did allow myself to be drawn into the action, I will not be reading the second book. The prose was rather plain, the story one-dimensional, and I just didn’t take to all the cat violence. I guess I’m one of those twolegs who prefers to take my kittypet to the dreaded cutter (to prevent scores of unwanted kittypets), feed it those disgusting hard pellets that rattle into its food bowl, curb my kittypet’s instincts for violence and let it grow soft and fat and cuddly. Oh how the Warriors would disdain me! After reading a graphic novel Warriors book (Into The Woods) I’m not so sure about the series… But I’m going to give first novel a try! Great review! It was an adventure with a lot of intrigue, and the series has a huge following. It’s just not my preference. Thanks for stopping by my blog! I just followed you on Networked Blogs. I’ve read a few books by Hunter. I think they’re great for middle schoolers who want a good series about animals! I agree. The pair of girls who recommended them to me just loved them. Thanks for the follow, Kathy! Whoops! I meant nice review, Michelle! Thanks Jack! Love your site! And your book looks fantastic. Going to subscribe.